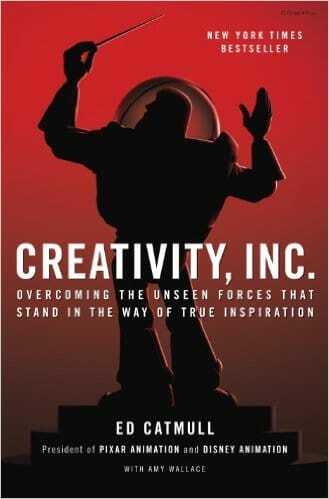 Tags: Management, entrepreneurship, hustle, Steve Jobs, Pixar, Apple, hard work, risk, integrity, culture. You’re struggling to see Steve Jobs as anything but a jerk. You want to know the reality of being an entrepreneur and how hard it can be. You want to unleash the creative talent of your team. Your management tactics are holding you back, but you’re not sure how to change them. You want to create a sustainable, creative culture at your company. This book is two things; 1) a great story, 2) a fantastic instruction manual. A nobody kid from Utah ends up becoming one of the key figures behind computer animation, helps found Pixar, and befriends Steve Jobs and actually gets along with him without merely giving in to him. Oh, and there’s a great part about how all the files for Toy Story got deleted accidentally, Pixar was on the brink of going out of business, and backup files were found on an employees’ laptop at her home, and that laptop was subsequently transported to the Pixar offices inside a bunch of pillows. How do you manage a group of insanely creative individuals and get them to achieve great things? How do you support them without standing in their way? How do you deal with the massive egos that sometimes accompany massive talent? How do you embrace failure in order to arrive at success? How do you create and support a culture of creativity? The wisdom in this book isn’t just for those who want to start an animation company, it’s for any entrepreneur, any manager, any leader who wants to understand what drives people and how people can come together to do amazing things.